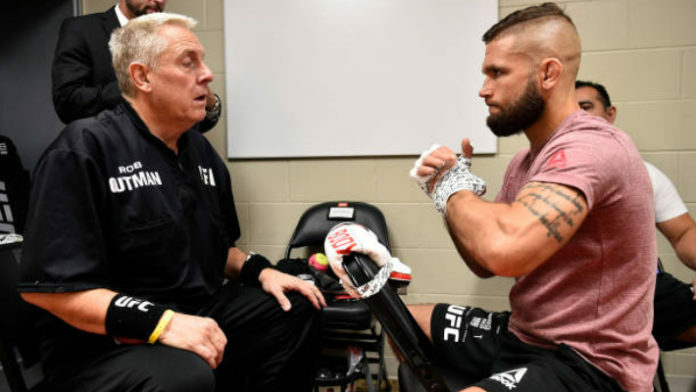 Jeremy Stephens' coach, Eric Del Fierro, says that "Lil Heathen's' "mindset" will be the key to victory against Zabit Magomedsharipov at UFC 235. Jeremy Stephens and Zabit Magomedsharipov’s meeting at UFC 235 is one of the more interesting match-ups on the event’s card. Both men have been getting intense with one another heading into their clash. Stephens is one of the more feared knockout artists at 145 pounds, and Zabit has looked extremely dominant in his UFC run thus far. “Honestly, at this level, if you look at who Jeremy’s fought, he’s fought the who’s who,” Del Fierro said. “When Jeremy shows up, he shows up and that’s what we’re expecting from Jeremy. Zabit, yeah, he’s talented. He’s he’s that new generation of fighter. “There’s just not a lot of holes in their game but Jeremy’s still a force to be reckoned with in that whole division. And when Jeremy’s on, he’s unstoppable. And honestly, at this point, it just comes down to mindset. We can’t always worry about how good the opponent is or how good the hype train is behind him. Stephens was recently defeated by former 145-pound king Jose Aldo by way of a first-round TKO. The defeat ended Stephens’ impressive three-fight win streak. Now, he’ll take on Zabit, who has won three of his four UFC victories by way of submission. This bout has the potential to steal the show when it’s all said and done from Las Vegas tomorrow night. Who are you picking in Stephens vs. Zabit tomorrow night?